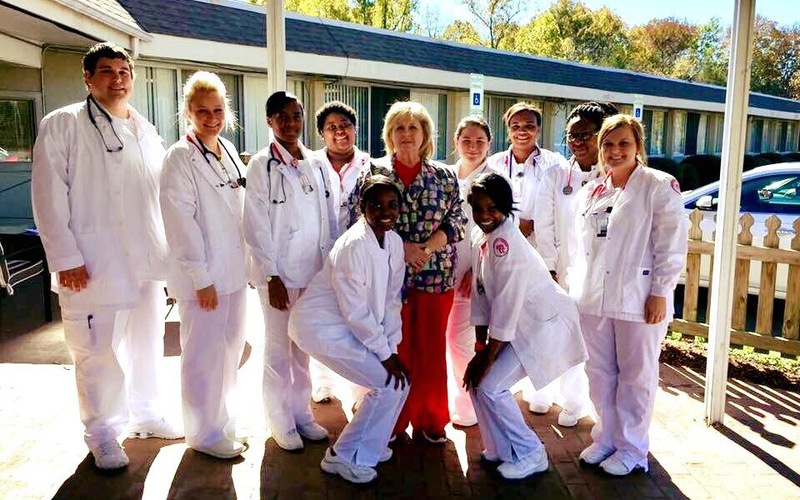 During her 20-plus years of teaching nurses at East Mississippi Community College, Karen Gray didn't just save lives, she changed them, as hundreds of her students will attest to. We are establishing the Karen Gray Nursing Scholarship in her memory—to continue the life-saving and life-changing work that she devoted her own life to. We are so grateful to you all for helping us sustain Karen's legacy for generations of nursing students to come. You can donate directly through this Social Fund page, which will direct your donation through PayPal and take out a small 2.9% processing fee. Alternately, you can call BancorpSouth or go to a local branch in person and ask to donate directly to the Karen Gray Nursing Scholarship account that the family has set up there. Donating in this way will allow your full donation to go to the scholarship fund, without any processing fees being deducted first. Eventually, you will be able to donate directly to the scholarship fund at EMCC, which will also allow you to avoid processing fees being deducted. Although that fund is not ready just yet, it will be soon, and we will add that information to this page for you as soon as it is.